Spend the day on this private tour exploring the Amalfi Coast with your friends or family. 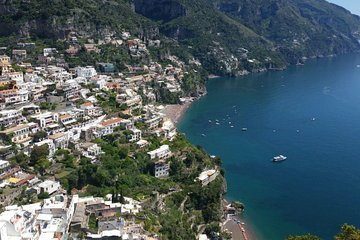 Traveling from Naples, your driver will take your group to the seaside towns of Sorrento and Positano, with stops along the way to take pictures and enjoy the views. The tour will include a stop so you can visit the UNESCO World Heritage site of Pompeii (entrance fee not included) before returning to Naples.